IMCDb.org: 1972 Oldsmobile Ninety-Eight Luxury Sedan in "Used Cars, 1980"
The 1971's didn't have the parking lights directly beneath the headlights. This is a 1972. 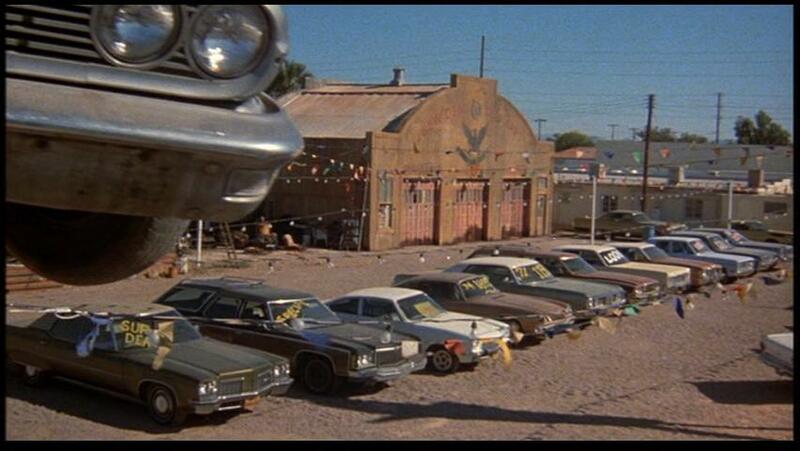 The wagon to the right is a 1974 Chevrolet. I own one...IMHO the best cars G.M. ever built were the 1971-76 full size Oldsmobiles. Buc84 wrote I own one...IMHO the best cars G.M. 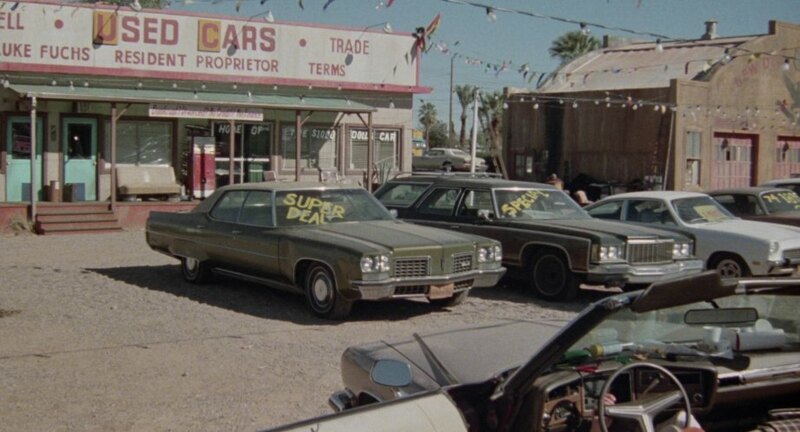 ever built were the 1971-76 full size Oldsmobiles.